Celery has a long and esteemed history of use, first as a medicine and then later as a food. The initial mention of the medicinal properties of celery leaves dates back to the 9th century B.C., when celery made an appearance in the Odyssey, the famous epic by the Greek poet, Homer. The Ancient Greeks used the leaves as laurels to decorate their renowned athletes, while the ancient Romans used it as a seasoning. While most people associate celery with its prized stalks, its leaves, roots and seeds are still used as for seasoning as well as in natural medicinal remedies. 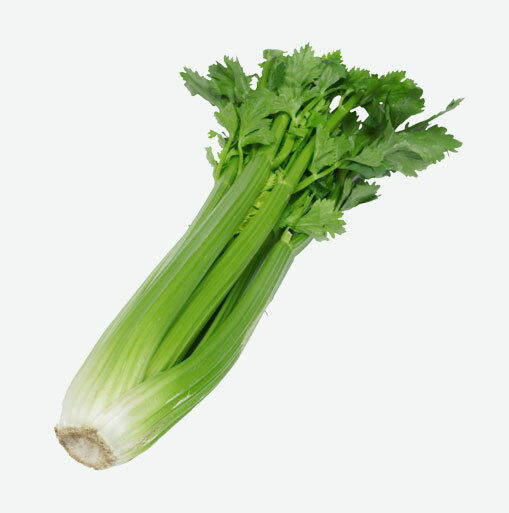 Celery is a member of the Apiaceae family, whose other members include carrots, fennel, parsley and dill. Though most cooks in the kitchen look upon celery as a common vegetable, it has a lot of nutrients that can enhance overall good health. Celery contains vitamin C and several other active compounds, including phthalides. Phthalides relax the muscles of the arteries that help to regulate blood pressure and allow these vessels to dilate. They also reduce the stress hormones that are known to cause blood vessels to constrict. One other important health benefit of celery is that it is used as a diuretic. It is rich in potassium and sodium, which are two minerals that help the body regular its fluid balance. When you are buying celery, choose celery that looks crisp and snaps easily when pulled apart. It should be relatively tight and compact and not have stalks that splay out. The leaves should be pale to bright green in colour and free from yellow or brown patches. To store celery, place it in a sealed container or wrap it in a plastic bag or damp cloth and store it in the refrigerator. If you are storing cut or peeled celery, ensure that it is dry and free from water residue, as this can drain some of its nutrients. To clean celery, cut off the base and leaves, and wash under running water. Try adding chopped celery to your favourite tuna fish or chicken salad recipe. Enjoy the delicious tradition of eating peanut butter on celery stalks. Use celery leaves in salads and soups. Braise chopped celery, radicchio and onions and serve topped with almonds or walnuts. Try juicing some carrots and celery. This makes a delicious veggie juice; and of course, don’t forget to add celery leaves and sliced celery stalks to soups, stews, casseroles, and healthy stir fries.